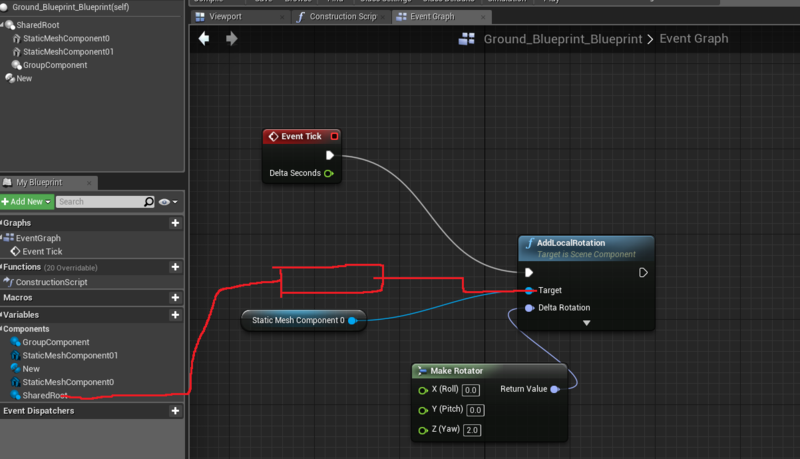 So I grouped the maze and ground and then clicked on blueprint and create blueprint for selected items and then created a blueprint for it. However, only one of them rotates and not both of them at the same time. How can I fix this? If you need further details or more screenshots I can provide more info.